Finding the right bowling club for your next lawn bowls party can be difficult. Save yourself sifting through various different websites and just search by suburb to find the best barefoot bowls venue for you. Here at Barefoot Bowls, our aim is to make the number one directory that helps people find and compare bowling clubs throughout Victoria. 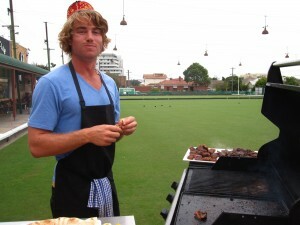 Many lawn bowling clubs offer barefoot bowls, ranging from corporate hire to social events. The hard part is knowing which club offers the style of event you are looking for. All clubs have different pricing, session times, bar menus and some even offer catering! Bowling Clubs are an interesting mix of old history and often increasing youth, every bowling club is different. Barefoot bowling is a great way to experience a unique function environment.